This 2.5 month old female pup came to RESQ yesterday with a grossly swollen face and a shiny metal cutting through her neck. On closer examination, we discovered that someone must have put a bangle (kada) around her neck as a small puppy. As she grew, the 'kada' got embedded in her neck but with every neck movement, it was cutting into her sides and reducing the circulation from the head to the rest of the body. She came to us in terrific pain, aggressively whining. 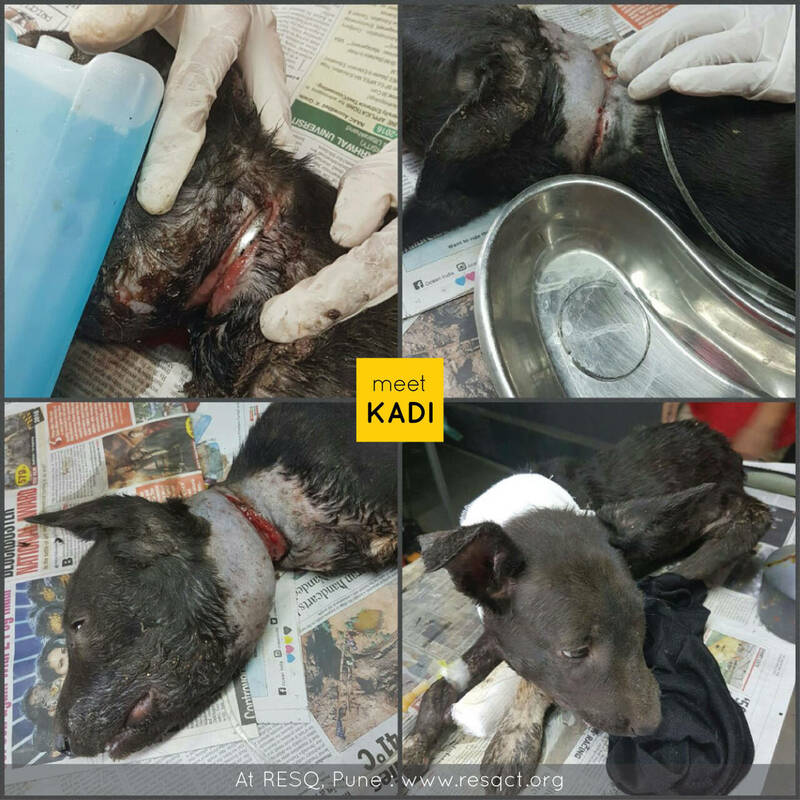 With a quick and careful emergency surgery, we managed to cut the 'kada' from around her neck. She has woken up from surgery but it will take a while for her pain and swelling to subside and her neck wound to heal. It amazes us how such a tiny pup can endure so much pain and yet fight it and stay alive. We have named her Kadi!